With the Presidential Inauguration swiftly approaching, you may be at a loss for how to ring in the next four years right. For those actually going down to Washington for the festivities (read: the fabulously wealthy), the week-long celebration promises galas and balls galore, all to commemorate a renewed faith in our country’s future. Seriously. Because you always needed someone else to Instagram you living the good life. 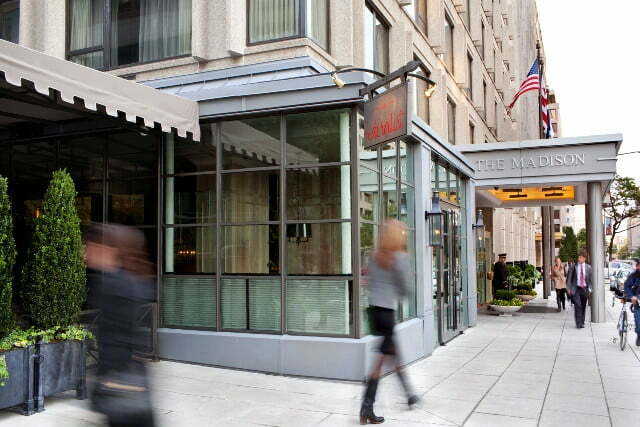 At $47,000, the Madison Hotel’s package already comes complete with a four night stay in one of their Presidential suites, your own Lincoln Town Car and driver, a private tour of D.C. with up to 22 of your friends, a $5,000 shopping spree at Brooks Brothers, and a night at the Landsdowne Resort with a couple’s massage — all of which screams Liberace-esque excess. But having your own social media butler takes the cake. The role is to be filled by Victoria Devine, founder of Anchor Media, a D.C.-based social marketing firm, who Goldberg contacted to take on the responsibility of tending to the social media needs of her inauguration-bound clientele. “I think it’s really exciting,” Devine tells us. “It’s new. It’s unique. The title is awesome, and I love showing people D.C.” Devine sees it as an opportunity, willing to work “24/7 if they prefer” but most people would want to get some sleep between all the partying. Presently, the admittedly extravagant package hasn’t seen any takers, but Goldberg and Devine are both committed to the idea. And if it does see multiple interested revelers, well, the more the merrier. “I mean, this is what’s next, no?” said Goldberg.